It is now the Gander Outdoors Truck Series which takes to the track on Friday and an incredible 39 drivers set to contend for 32 starting spots in the season opener. But the title sponsor wasn’t the only big change in the series. A frequent driver of Jennifer Jo Cobb’s second team, the #0 Chevrolet, Ray Ciccarelli has made the jump to team ownership for 2019, fielding his own #49 Chevrolet. It is unclear as of this writing whether or not this is the same #49 Chevrolet fielded up to the end of last year by Jay Robinson of Premium Motorsports before Robinson closed his two-truck operation at the end of 2018. Ciccarelli’s Daytona entry will be sponsored by CMI Installation. Cobb’s #0 Chevrolet, meanwhile, is not entered, while Cobb herself will run her familiar #10. 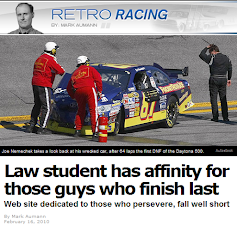 UPDATE: Per our own William Soquet, Ciccarelli's team is in fact the former Premium #49 team. The preliminary entry list for Daytona appeared to show a reunification or number reclamation of team owner Tracy Lowe, who fielded the #1 in past seasons, and Mark Beaver, owner of Beaver Motorsports (the #50 formerly fielded by Beaver and Lowe under MAKE Motorsports). Lowe is still the listed owner of the #1, entered for past series champion Travis Kvapil at Daytona, but the truck was fielded under the “Beaver Motorsports” banner - that is, before it was withdrawn by Wednesday. Beaver’s #50, which Kvapil drove to an early exit in his lone truck start last year, is not entered. Camden Murphy closed out the season for Beaver by relieving Mike Harmon in the #50 at Homestead. Korbin Forrister had a handful of solid runs in his partial 2018 campaign with new team All Out Motorsports. Driver and team are back to run the season opener this time, welcoming sponsorship from “Run the Race,” an upcoming film which boasts former NFL quarterback Tim Tebow as its executive producer. Joe Nemechek closed out the 2018 season as the LASTCAR Truck Series Champion, driving his #87 to help keep his underfunded organization going. Looking for more backing, Nemechek has since hired part-timer Angela Ruch to run the #8 at Daytona with JJ Resources as sponsor. Nemechek's son, John Hunter Nemechek, takes the controls of the #87 and eyes track time in preparation for Saturday's XFINITY race with GMS Racing (see below). Also returning to the circuit is ARCA part-timer Codie Rohrbaugh, who debuted his team as owner and driver last summer with a 16th-place run at Bristol and a 17th at Texas. Rohrbaugh, who finished a strong 7th in last Saturday’s ARCA opener, looks to make his first NASCAR start at Daytona. Randy Young’s team continued to make headlines in early January when, on January 9, their new part-time third team was set to go full-time racing in 2019 with two-time ARCA Menards Series winner Gus Dean going for rookie honors. LG Air Conditioning Technologies will back Dean’s effort for eight races and serve as an associate for the balance of the schedule. Following his surprising release from GMS Racing at the end of 2018, Johnny Sauter only just landed his old ride at ThorSport, returning to the #13 Ford previously occupied by Myatt Snider. Snider has himself moved to the team’s second truck – the #27 – whose only start last year was Chase Briscoe’s victory at Eldora. As with Briscoe’s effort, Snider’s will be a part-time campaign for 2019 as the young driver tweeted he will be focusing on his education and interest in aviation. ThorSport also enters a third truck this week, the #99 (see below). Jay Robinson closed his Truck Series effort at the end of last season, removing his #15 Chevrolet from the field. Reid Wilson, who closed out 2018 for the team, is not entered, but will run Al Niece’s #45 in select races later this season (see below). Following Brett Moffitt’s release from the team after his incredible run to the 2018 Truck Series Championship, it was finally announced January 8 that Austin Hill will drive the #16 this year, bringing with him sponsorship from United Rentals. Hill had a quietly strong season 2018, completing his first full season 11th in points with a season-best 5th last fall at Texas. David Gilliland will once again race his son Todd (in KBM’s #4) as he takes the wheel of his co-owned #17 Toyota. The elder Gilliland won the pole at both Truck Series plate races last year, finishing 21st at Daytona and 3rd at Talladega. On January 7, it was revealed that Spencer Boyd would move from SS-Green Light Racing’s XFINITY Series effort to Randy Young’s #20 Chevrolet in the Truck Series. This truck was most recently driven by dirt tracker Tanner Thorson, who made 11 Truck Series starts in 2018, including the last six. Thorson is not entered for this Friday’s race. Much to the driver’s surprise came Johnny Sauter’s release from GMS Racing on January 9, just over two years from his championship season in 2016 and a career-best six wins in 2018 before he finished 4th in the standings. At the time of the release, Sauter’s replacement was still to be announced, but by the next day, none other than Brett Moffitt was signed to drive for GMS, allowing him a chance to defend his series title. As reported by Chris Knight on February 5, Austin Wayne Self will run the full 2019 campaign with the AM Racing team in 2019, boasting a new technical alliance with GMS Racing. This is a change from last year, when the #22 was fielded by Al Niece. Self’s #22 earned a season-best 9th in the fall race at Las Vegas. Following his release from Hattori’s #16 team, defending series champion Brett Moffitt landed at GMS Racing, taking over for Justin Haley in the team’s #24 Chevrolet. The full-time effort which carried Haley to his first career victory affords Moffitt the chance at defending his title. Mary Gallagher’s #25 team, driven for much of last season by Dalton Sargeant before the two parted ways, is not entered this week. Once again, Jim Rosenblum’s team is back in action, a full year after it had originally been reported that the team was running its final race. Modified star Bryan Dauzat is once again the driver, following an 18th-place run for the team in Daytona, then a 9th at Talladega. Steven Lane’s single-truck operation returns in 2019, and this time boasts former XFINITY Series driver Brennan Poole, who ran his first Truck Series races since 2015 for NextGen Motorsports, running 15th at Texas and 19th at Homestead. Poole takes the place of Jeb Burton, who ran the #30 last fall at Homestead. NextGen’s #35, now entered under Vizion Motorsports, is not entered this week. Jason White (the Canadian racer, unrelated to the series veteran), who made his series debut last year, will rejoin Josh Reaume’s program this year, this time driving the team’s second truck at Daytona. Powder Ventures Excavations is the sponsor. The team last ran at Mosport, where Jesse Iwuji finished 25th. Team owner Reaume remains in the team’s flagship #33, taking the place of Robby Lyons, who drove at Homestead. TheChallengesBook.com backs Reaume's truck. Ben Rhodes slides over from ThorSport’s #41, which isn’t entered this year, to the team’s #99 Ford – a number previously fielded in the series by Matthew Miller’s MDM Motorsports. Rhodes looks to build on a strong 2018 season that saw him earn career-high marks in Top Fives (eight), Top Tens (13), and poles (3). RETURNING: #42-Chad Finley Racing, Inc.
Chad Finley’s strong run in his team’s debut at Gateway last year was one of the biggest underdog stories of the season. His team announced on January 17 that it would return at Daytona, bringing aboard Robby Lyons to drive at Daytona. 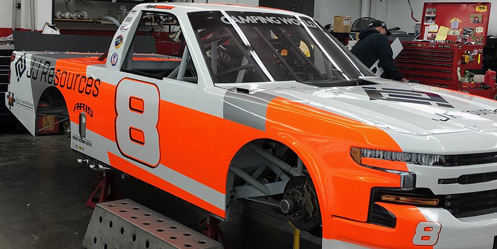 The truck will carry Lyon’s backing from Sunwest Construction on an identical white paint scheme to what the driver ran last year at Talladega. The team last appeared last summer at Bristol, where Finley finished 30th due to engine trouble, and now plans on running the whole season. Al Niece will field a full-time entry, and at least for the first three races, will put series fixture Timothy Peters back to the series for the first time since last fall at Martinsville, when he ran 10th for GMS Racing. It also expands Al Niece’s team from two trucks to three for Daytona. The Friends of Jaclyn Foundation will sponsor Peters’ Daytona truck as the driver eyes his second victory at the track. Future driver plans for the #44 beyond these first races are coming together. After the fallout following the closure of Chip Ganassi Racing’s XFINITY team, Ross Chastain earned a ride with Al Niece’s #45 Chevrolet for Daytona with TruNorth as sponsor. Chastain, who takes Justin Fontaine’s spot in the truck, has performed just as brilliantly in the Trucks as he has with limited funding in both Cup and XFINITY. Just last year, he ran 7th for Premium Motorsports at Las Vegas, and earned a 12th at Bristol and 16th at Homestead, driving Niece’s #38 (which is not entered). The ride, however, is not full-time - Reid Wilson, who closed out the year for Premium Motorsports, has also been tabbed to drive for Niece, sharing the #45 with Chastain for the remainder of the year. Chris Fontaine returns to the track for the first time since a savage wreck last fall at Talladega destroyed perhaps the oldest operating chassis still running in the series. Glenden Enterprises remains the sponsor. Christian Eckes returns to the #51 team in place of last week’s ARCA Menards Series winner Harrison Burton, who closed out the team’s 2018 campaign in Homestead. Eckes, who ran strong for KBM’s team last year, came close to winning last week’s ARCA 200 before he was shuffled out of the 2nd spot on the final restart. Natalie Decker is yet another ARCA Menards Series driver making the jump to the Truck Series this weekend as she takes the place of last fall’s driver Chris Windom in the #54 Toyota. Decker eyes her first Truck Series start, but it will not be her first attempt – she missed the cut for Martinsville in the spring of 2016 in a one-off for Mark Beaver. Clay Greenfield and his single-truck operation are back in action this week, one year after a career-best 3rd-place qualifying run at Daytona. He aims to make his first start since last fall at Talladega, where suspension issues left him last in the running order. Rackley Roofing backs the truck. The last time we saw D.J. Copp’s team was at Homestead, when they withdrew following Todd Peck’s accident in practice. News then came on New Year’s Eve that Mike Senica, absent from the Truck Series since he was parked last spring at Martinsville, would be returning to the circuit with Copp’s #83. Copp refuted this claim, and both Senica and his sponsorship from Speed Clothing Company are not entered in this weekend’s race. Copp is instead the listed owner of the #63, which in the past has been fielded by longtime team owner Mike Mittler. After partnering with Mittler the last couple seasons, Copp appears to be taking a more active role in the team’s ownership. The Daytona entry, to be driven by ARCA veteran Bobby Gerhart, is listed under “Copp Motorsports” rather than Mittler’s “MB Motorsports.” Mittler himself continues to fight an ongoing illness. One week after his ARCA Menards Series driver Grany Quinlan picked up a strong 3rd-place showing in the ARCA 200, Mark Rette aims to give his team its first Truck Series start since this event two years ago with Terry Jones. Driving his #82 Ford is Spencer Davis, who ran five races last year for KBM with a best finish of 7th in this race, followed by three consecutive starts where he qualified 4th. Ricky Benton’s team returns, but in place of Parker Kligerman, who prepares to make the Daytona 500 with the Gaunt Brothers, Austin Theriault is the driver of his #92 Ford. Theriault’s lone Truck start last year was Las Vegas in September, where he ran a strong 8th in On Point’s #30 Toyota. Jesse Little and his family’s JJL team will not race at Daytona, and eye their season debut next week at Atlanta. Tyler Dippel was on January 18 revealed to be the full-time driver of Randy Young’s #02, previously driven by Austin Hill. Dippel parlayed a strong 13th-place run for DGM-Crosley at Eldora into a four-race stint for GMS Racing in the closing part of the year, finishing between 14th and 17th in each race, and completing all but two laps. Such consistency will serve him well in his first full-time NASCAR campaign. There are 38 teams entered for as many spots as the XFINITY Series scales back from 40 cars to 38 as a “full field” for 2019. In the aftermath of Chip Ganassi Racing closing their XFINITY Series program, Ross Chastain will make at least three starts in his familiar #4 Chevrolet at Johnny Davis’ stables (in addition to another part-time ride with Kaulig Racing and a Truck Series effort with Al Niece). Chastain’s return apparently came after Blake Koch’s deal to drive the car fell through over the offseason. When Chastain then landed a part-time ride with Kaulig Racing, the #4 then fell to Scott Lagasse, Jr. in still another Daytona one-off with sponsorship from Rimrock Devlin. Lagasse will be joined by Garrett Smithley, once again in his “Number Nuthin” #0, and Stephen Leicht, who on February 2 was revealed as making the move from B.J. McLeod’s #99 Chevrolet to Davis’ flagship #01. McLeod will run the team’s #15 this week. News broke on January 25 that, in addition to Noah Gragson’s signing with the team to replace the retired Elliott Sadler, Gragson will drive the #9 instead of Sadler’s #1, and that Michael Annett will run the #1 instead of his #5. Justin Allgaier remains in the team’s #7. The #5 is now missing from JR Motorsports, replaced by a returning #8. A deal was worked out between JRM and B.J. McLeod, who ran the #8 last season. 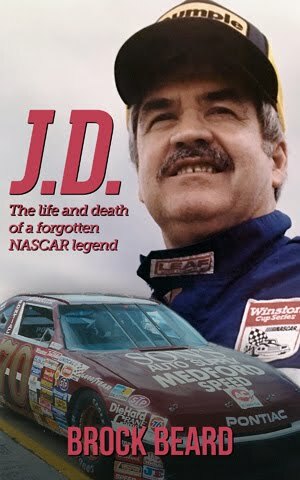 According to Dale Jr., the deal had originally been for the #8 to run at Darlington for a throwback paint scheme later this year, but NASCAR prohibiting number swaps meant the change would have to be made now instead. Thus, the #8 was set to make its season debut with Spencer Gallagher, who was originally set to retire from racing at the end of last year. The preliminary entry list shows Chase Elliott in the car instead. Zane Smith, Jeb Burton, Ryan Truex, and Ryan Preece are among the other drivers scheduled to run the #8 later this season. With Matt Tifft moving up to a full-time ride in the Cup Series, defending series champion Tyler Reddick moves from JR Motorsports’ #9 to Tifft’s ride in the #2 Chevrolet. The team’s Daytona car will be sponsored by Pinnacle Financial Partners. Curiously, RCR’s flagship #3 Chevrolet is not on the preliminary entry list for Saturday’s race. The car was driven for much of last season both brothers Austin and Ty Dillon, as well as development driver Shane Lee, who ran at Homestead. On January 11 came news that B.J. McLeod’s team will expand from two to three full-time XFINITY Series cars in 2019. This originally included the #78 and #8, last year’s full-time entries, and the #99, which ran a partial schedule last year. That changed on January 25 when JR Motorsports announced the McLeod team worked out a deal for JRM to run the #8, later changing McLeod’s second car to #5 in a swap with JR Motorsports, which Matt Mills is set to run at Daytona. JF Electric and Thompson Electric will back Mills. The #78 goes to Vinnie Miller, who came over from JD Motorsports to run for McLeod last year. Among the drivers of the third #99 entry is Tommy Joe Martins, making a return of his own at Atlanta with longtime backer Diamond Gusset Jeans as sponsor on a Ryan Pistana-designed scheme. D.J. Kennington is entered in the #99, whose schedule will be filled out this year by McLeod himself and JA Avila, Jr., among others. Kennington's car will be sponsored by Lordco Auto Parts, which has backed his past Daytona 500 efforts. Kaulig Racing experimented with a second car from their stables last summer at Indianapolis, and will bring a second team once again to Daytona. The persistent Ross Chastain will drive the car with Nutrien Agricultural Solutions as the sponsor of the #10 Chevrolet, and make his debut with the effort at Daytona. Teamed with Chastain in Kaulig’s full-time flagship #11 is Justin Haley, who last we saw at Daytona was denied victory in July for a controversial yellow-line penalty. Haley takes the place of Ryan Truex, who has a Cup ride for Daytona with Tommy Baldwin, with Kaulig’s Leaf Filter Gutter Protection as the continuing sponsor. Roger Penske’s part-time XFINITY effort returns at Daytona with Cup regular Brad Keselowski as the listed driver of the #12 Fitzgerald Ford. Carl Long’s team pledged to increase their focus on the XFINITY Series this year – and to Toyota - and has no less than four cars entered for this weekend’s race. In place of the #40 and Chad Finchum, who ran much of last year in the Smithbilt Homes livery, the team has picked up #42 (from the closed Ganassi effort) and brought back part-timer John Jackson to drive. The #13 team has Max Tullman entered, one year after his three-race stint as part-owner-driver of his #26 Ford (see below). Joey Gase’s #35, last year a Go FAS Racing entry, is this year under Long’s banner with Gase’s Cup sponsors backing the Daytona effort. Rounding out the group in the #66 is Timmy Hill with VSI Racing and Overkill Motorsports logos on the white Supra. The team no longer runs a Dodge as their car was expired by the rulebook at the end of last season. News broke on January 3 that both Roush-Fenway Racing’s XFINITY teams would be closed for next season, choosing instead to focus their efforts on Cup. This puts an end to Ryan Reed’s #16, which lost Lily Diabetes as a sponsor at the end of 2018, and the venerable #60, which had been active on at least a partial basis in the series since 1993. Chris Cockrum rejoins the XFINITY Series in his familiar #17 Chevrolet with returning backing from Advanced Communications Group. The Georgia driver’s most recent series attempt was this race last year, when he failed to qualify the #25. The preliminary entry list showed Rick Ware as the team’s owner. Last year, Jeffrey Earnhardt and his backing from Xtreme Concepts, Inc., which backed his Cup efforts for Premium Motorsports and Gaunt Brothers Racing, made the jump to Joe Gibbs’ XFINITY program for 2019. Earnhardt will not drive Gibbs’ flagship #18 Toyota Supra at Daytona, the first of nine races scheduled for the driver. Austin Cindric locked-down the #22 entry for 2019 after splitting the ride with the turbulent #60 Roush-Fenway Racing entry last season. MoneyLion, which signed with the team last year and closed out the season at Homestead, is again the sponsor. John Hunter Nemechek landed the ride at GMS Racing in place of the retired Spencer Gallagher, and brought with him sponsorship from his Truck Series backer Fire Alarm Services, Inc.
Max Tullman’s part-time operation, which made its most recent start last fall at Homestead, is not entered. Tullman is himself the listed driver of MBM’s #13. On January 16, it was revealed that Carl Long’s team Motorsports Business Management had hired Joey Gase to run full-time in the XFINITY Series, driving one of Toyota’s new Supras. 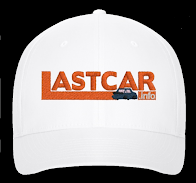 The car will be sponsored by Gase’s longtime backer Eternal Fan, starting at Daytona. Gase makes the move from Go Green Racing, where he ran the #35 in XFINITY just last year. Announced at Texas on November 2, the SS-Green Light Racing team takes on a whole new look for 2019. As last year’s driver Spencer Boyd takes his Grunt Style sponsorship to the Truck Series, Gray Gaulding makes the move from Cup back to XFINITY with Texas-based sponsor Pure Global as sponsor. On January 25, it was revealed Gaulding will be teamed with Ray Black, Jr., who brings back SS-Green Light’s #07 Chevrolet. These cars will be entered in place of Boyd’s #76 (tied to 1776 for the patriotic Grunt Style sponsor) and the #35 Joey Gase drove last year under the Go FAS Racing banner (but prepared by SS-Green Light). Car #08 has only four last-place finishes in XFINITY competition, and none since 2012, when Tim Andrews dropped out at Chicagoland. Josh Williams slides over from Mario Gosselin’s #92 Chevrolet (which he ran at Homestead, but is not entered this week) to the #36 this year, taking the place of Canadian competitor Alex Labbe. This week's car is sponsored by Joe Froyo and All Sports Coffee. Caesar Bacarella remains in the #90, which he ran in last year’s finale. Josh Bilicki landed a new ride with Ryan Sieg’s team on February 3, taking J.J. Yeley’s place in the #38 Chevrolet. Bilicki, who makes the move from JP Motorsports, debuts new sponsorship at Daytona from Dr. Squatch Man Soap. Ryan Sieg remains in the #39, and has landed a sponsor from Code Rum for next week’s race in Atlanta. LASTCAR fan favorite Jeff Green will continue to run the #93, and will see C2 Freight Resources, Inc. return as his primary sponsor in Talladega. The RSS team’s part-time #37, which Green drove at Homestead, is not entered. On January 4, just weeks after the FBI raided the home and headquarters of sponsor DC Solar, and one day after Roush-Fenway closed their two XFINITY teams, Chip Ganassi Racing announced they would close their XFINITY team. The closure put an abrupt end to Ross Chastain’s full-time effort, which was made official in November at the ISM Raceway following his win in Las Vegas. 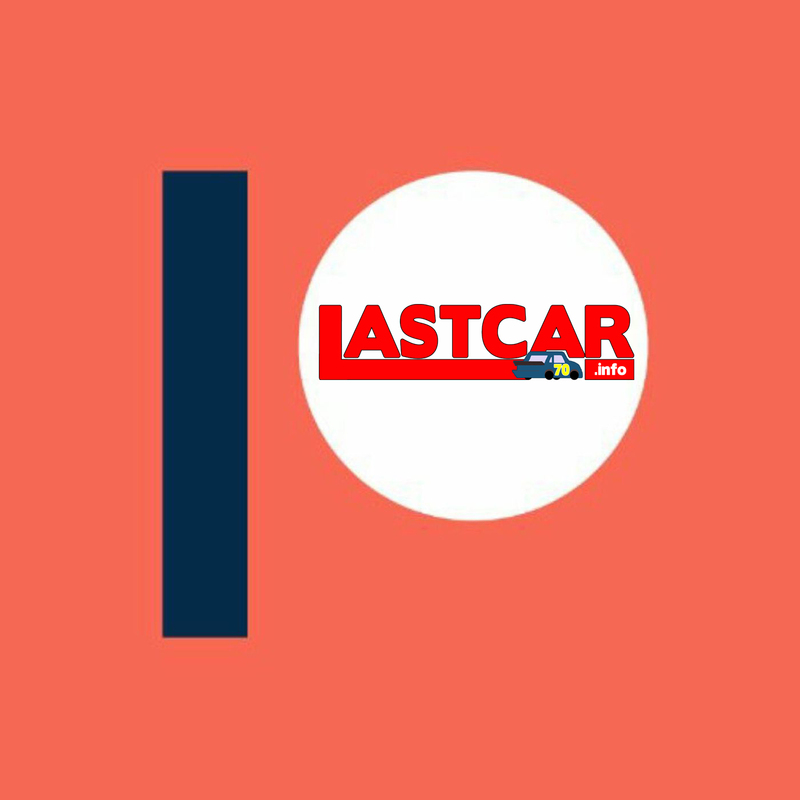 After a very difficult start to their XFINITY Series program, JP Motorsports is expected to return for their second XFINITY Series season, per a February 5 report by Dustin Albino at Frontstretch.com. However, neither team was yet shown on the preliminary entry list. Per the same source, their debut is still expected later this season. After no driver was listed in the days leading up to the race, David Starr was listed to stay with Jimmy Means' team, as he had last year. Kaz Grala and the upstart Fury Race Cars team are conspicuously absent from this weekend’s entry list, just months after their Stewart-Haas Racing show car had a fine showing in last July’s Daytona race. UPDATE: News came on Thursday that Grala has picked up a part-time ride in Richard Childress Racing's #21 Chevrolet this season. A variety of patriotic sponsors, headed by Air One Heating & Cooling, backs Mike Harmon this week as he regains his seat from Tim Viens, who was entered in his black #74 Chevrolet last fall at Homestead. Chase Briscoe and the Biagi team are back in action – the driver for the first time since Homestead, and the team for the first time since a 30th-place showing in Kansas. Briscoe looks to build on his first series victory last fall on the Roval, and welcomes returning backing from pet food supplier Nutri Chomps. The entry list remained at 42 cars heading into Thursday’s Duel races as both Obaika Racing’s #97 and the NY Racing Team’s #7 failed to present their cars by last week’s deadline. Bob Pockrass reported that Rim Ryderz, makers of skateboard rims, will back the previously unsponsored second Germain Racing car. In qualifying, Mears locked himself into Sunday's race along with Tyler Reddick in Richard Childress' #31. Now a team owner in the NASCAR XFINITY Series, Bobby Dotter picked up the first last-place finish of his Truck Series career at Daytona on February 15, 2002. Driving the #08 he'd carried for most of his 209 starts as an XFINITY Series driver, Dotter's Albertson's / CDS Chevrolet lost the engine after 26 laps. The season marked Dotter's second and final full-time season in Trucks, and he rebounded from the Daytona issue to finish a career-best 14th in points.